There is no specific thread on members' new models, apart from one model topics. 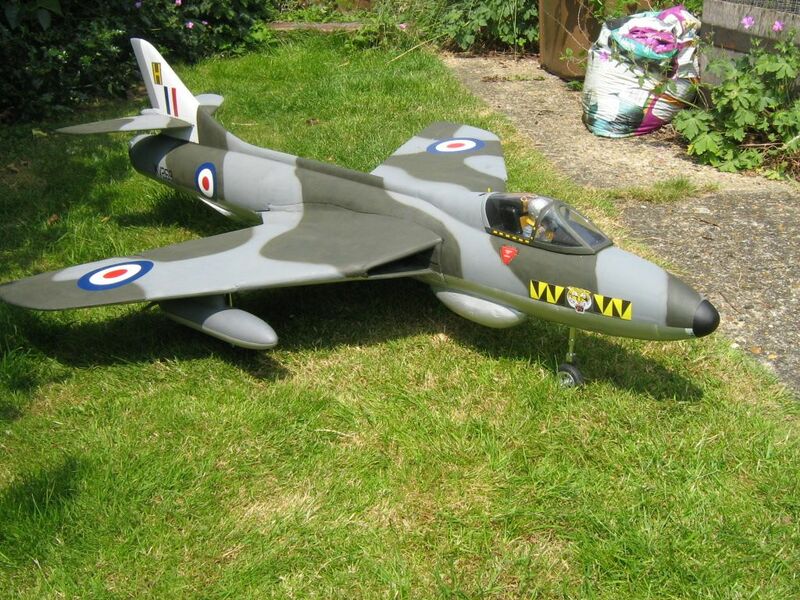 I'm starting the thread to anyone who has just finished a model, to photograph it and put on here. 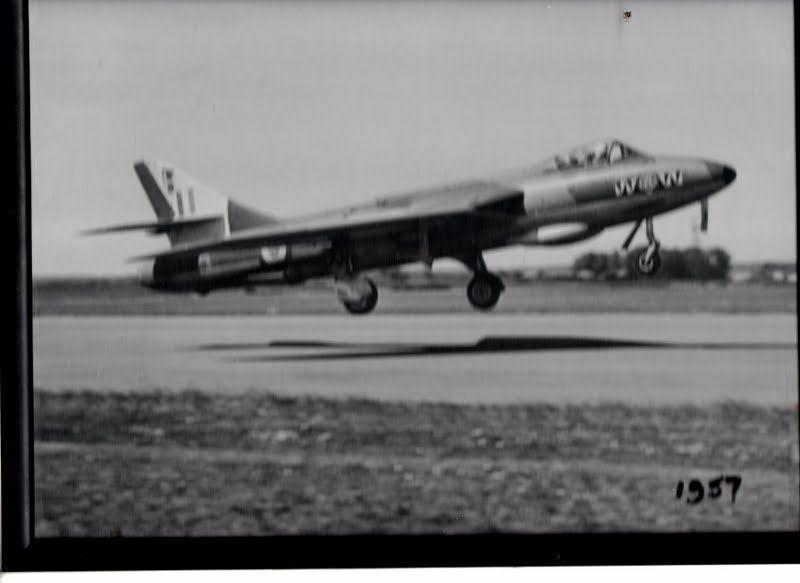 A photograph and a short description of each one is ideal and lets see the models getting ready for their maiden. 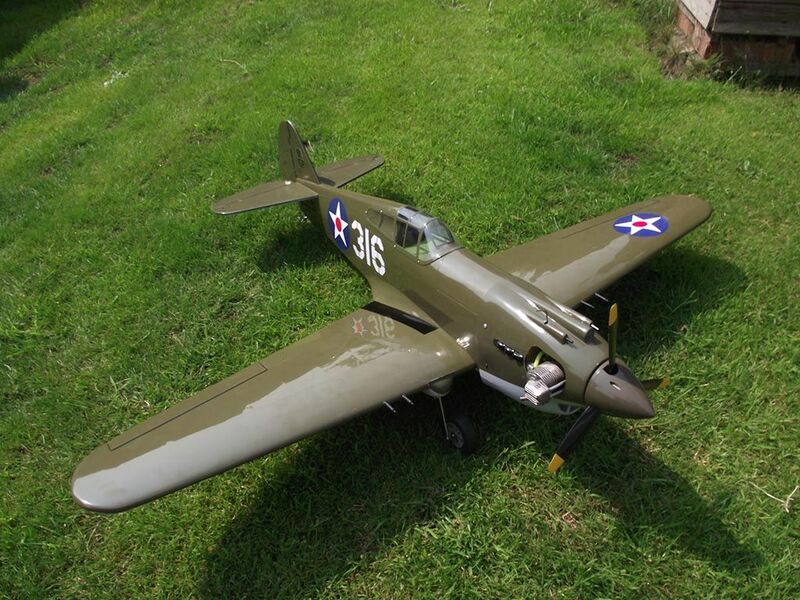 First a H9 P-40 Warhawk, with E-flight Twist n' turn retracts and a OS 61 FS engine. thats very nice paul , every time i see a nice model i want to start building one with all the nice models on this forum i'd have to be a millionaire , build 24/7 , and live to at least 300 years old . Hawker Hunter with Rolls Royce Avon and Flg Office Boz Robinson at the contols. 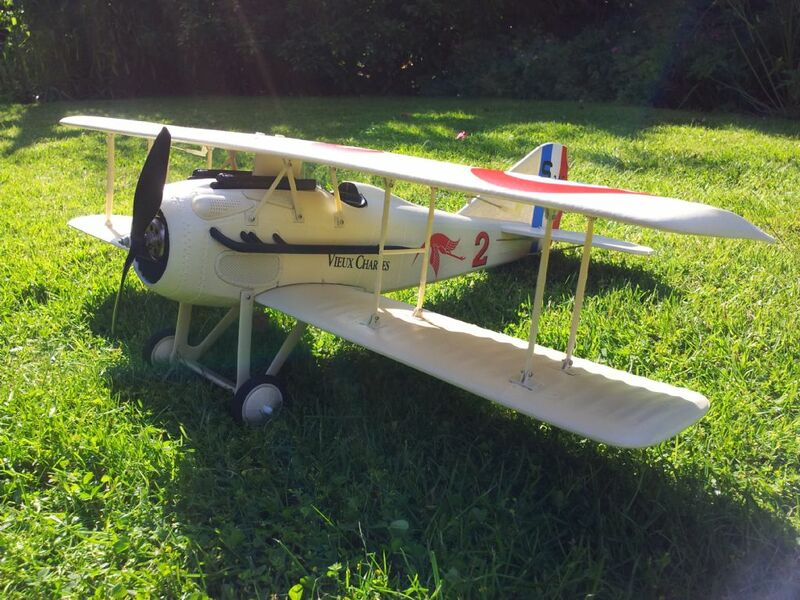 This Stinson had its maiden flight today. All ok except for final flight, tried to go around as it was a but high and the engine died. So a little heavy in the long grass, no damage luckily, except to my pride. Let me know if you have any problems!!! 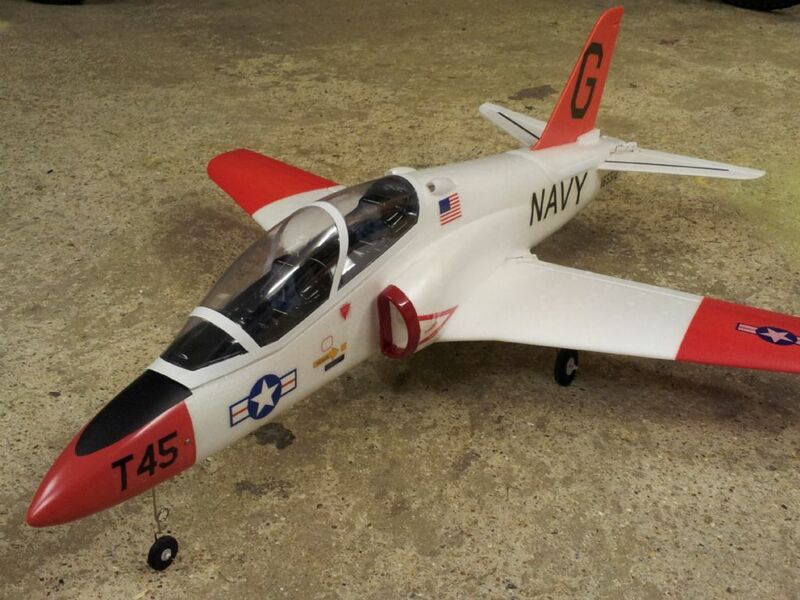 Hobby King T45 Goshawk, with the stock motor, fan & ESC as supplied. 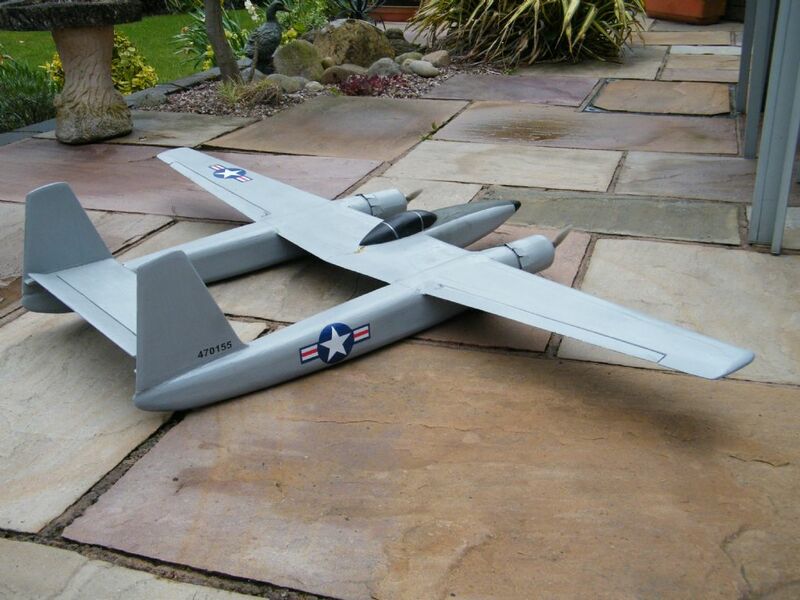 Maiden flight last weekend - surprisingly quiet & jet-like sound! 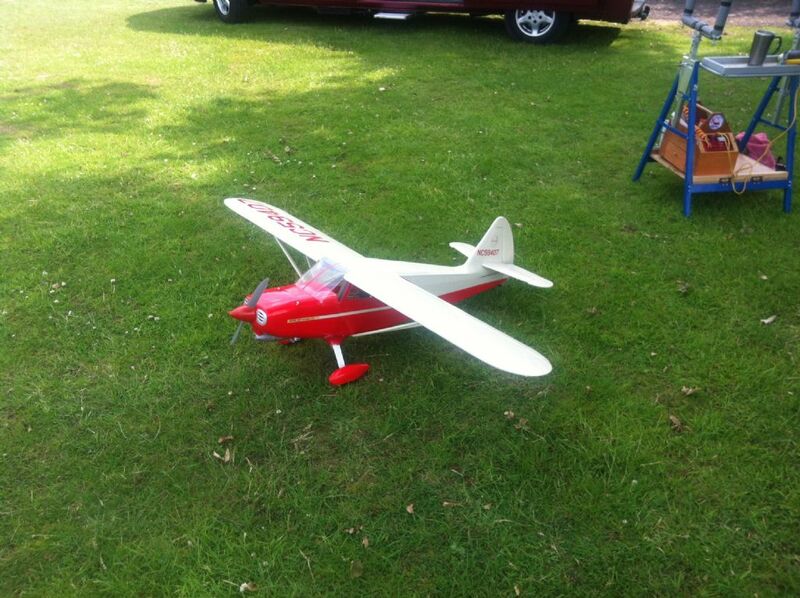 Looking forward to flying it again this weekend. 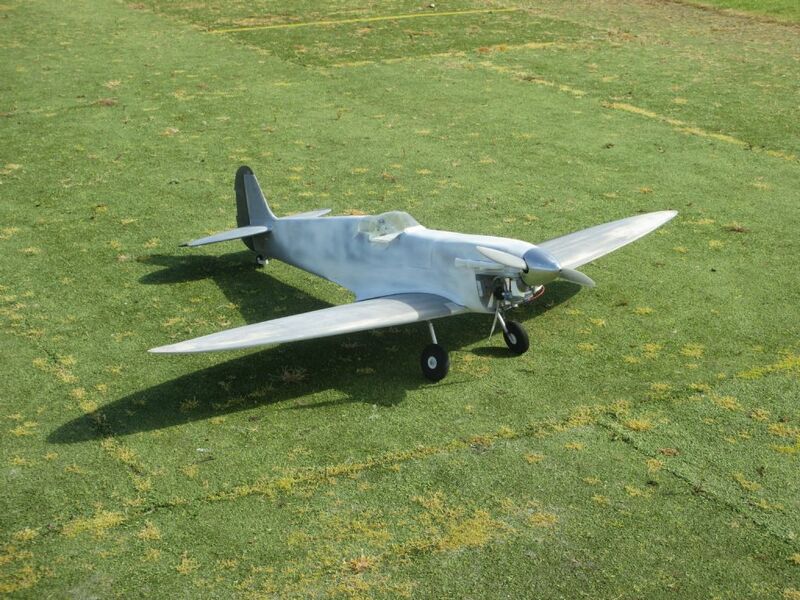 Here's my Nijhuis 72" Spitfire in base coat, I'll try and fly her this weekend before the paint goes on. ready for fitting out when i can afford it. Here is my new Evolution Models Fusion just prior to the maiden this afternoon. Fun fly it certainly is!! Try re-sizing the image. I find that trying to upload 2500 pixel images are too much and makes this little size go gaga and crash. Use Photoshop, for example to resize around 1024x768 and upload onto the site. Much quicker and works. 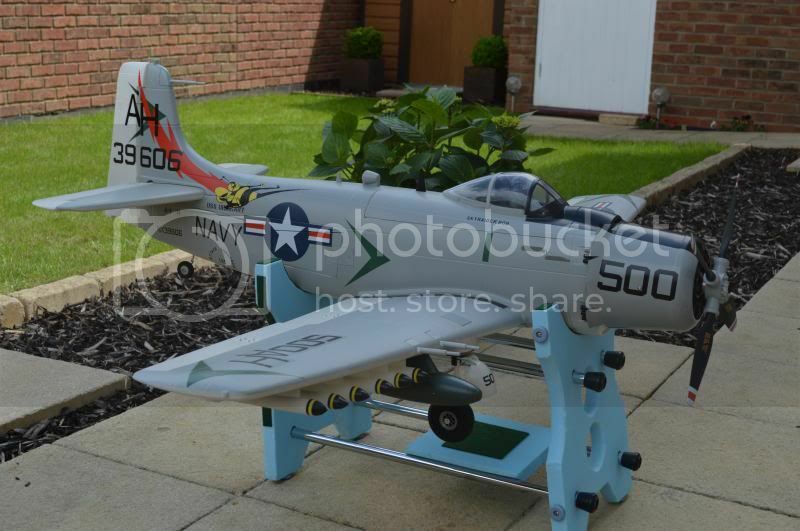 Max Thrust A-1 Skyraider from Hobbyking complete and ready for maiden. Although I built this a few years ago with brushed motors, I'm currently re-furbishing it and fitting brushless inrunners, using Nigel Hawes advice in the current RCME. I'm having to make a few changes so hope it qualifies for this thread. 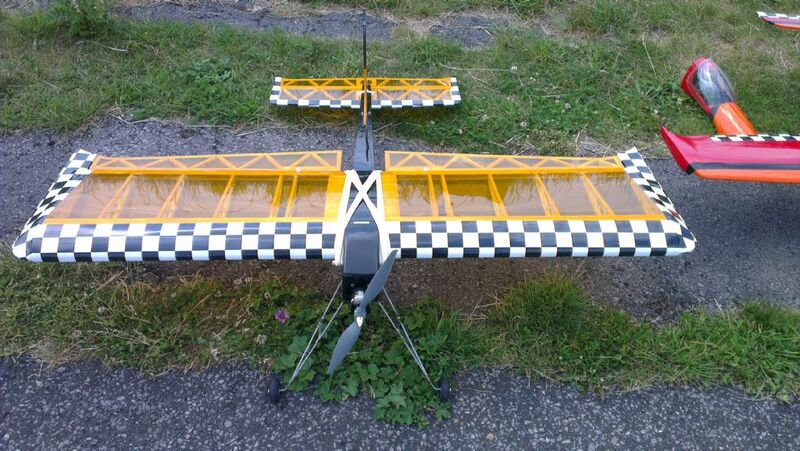 It's a 51" span Hughes XF11, scratch built using three views of the full size as the starting point. The only drawback was having to slightly widen the very small fuselage nacelle to get everything in, but otherwise it's scale and looks the part. Re-painted Lander 70mm foamy EDF. I decided not to use retracts to save weight: takes off from a dolly and belly lands on the grass. PND Sea Vixen. Twin Wemotech 70mm EDFs with HET 2W-25 motors. 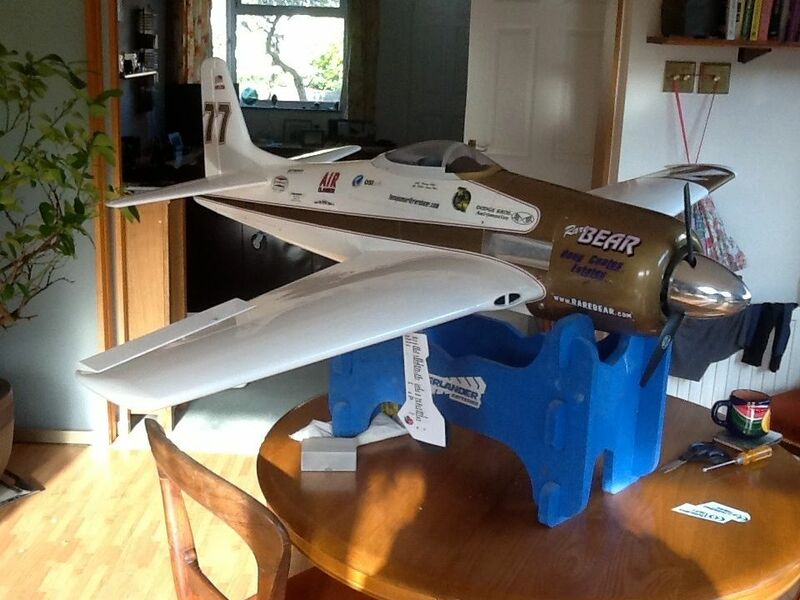 Now complete but not yet flown. Those are beautiful models, each and every one! My one isn't so beautiful any more Luther!!!!!!! 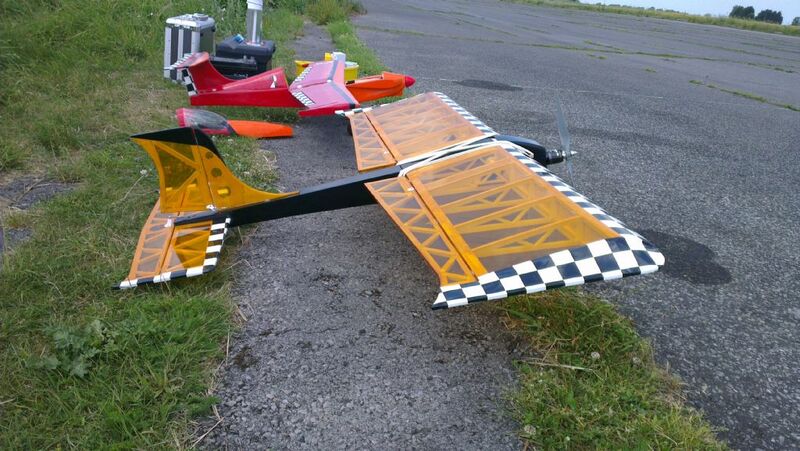 All Forum Topics > All Things Model Flying > Forum members' new models: Let's see them.